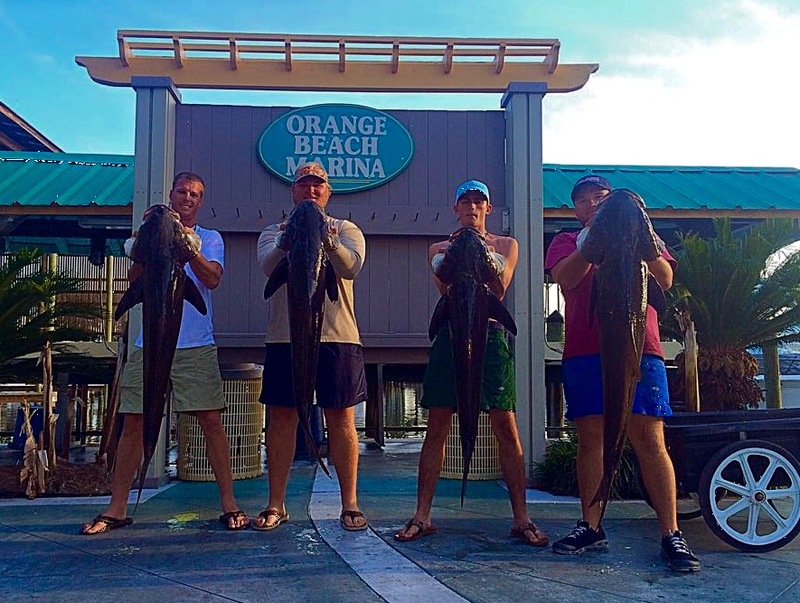 Alabama Gulf of Mexico fishing charters offer trips to areas abundant with pelagic species, cobia and sharks within a few miles of land. AAA Charters has access to a fleet of 100+ boats for hire across the Alabama Coast that can accommodate single anglers to large groups of fishers looking to enjoy a day of fishing along our beaches. Whether you want to fish for a few hours or spend a full day fishing off the shores of Orange Beach, Gulf Shores and the Florida Panhandle, we can help you find your ideal fishing charter. as well as tasty dinner. The world class fishing grounds off our shores are also home to a healthy year round native shark species. These fish can grow in excess of 10 feet in length weighing hundreds of pounds. Once hooked, the battle to reel one of these predators of the gulf can take and hour, or longer, to reel in. We promote mostly catch and release of these true monsters of the deep. If you do decided to harvest a shark to mount, or to eat, the cost of fish cleaning is 30 cents per pound, whole weight. Shark fishing can be the primary focus of your trip or can be neat way to add some variety to your deep sea fishing trips. Family Friendly Fishing Trips on Big Adventure! Click here to view the Shark Species we catch.